We give scientists a microphone. Communication workshops for brainy introverts. 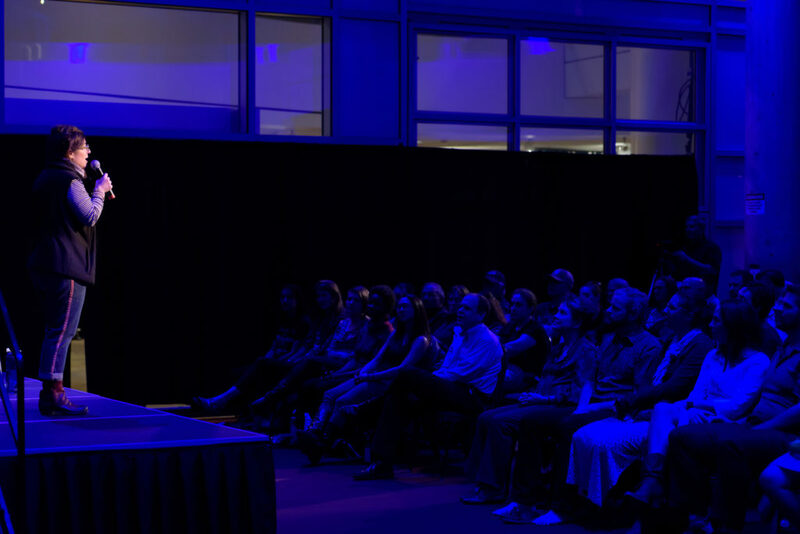 Our science communication workshops teach scientists the basics of comedy writing and performance then throw them onstage to deliver a comedy talk to a live audience. Each scientist crafts a 5-10 minute talk about a scientific topic with only three rules; they have to teach something, they have to be funny, and their only tool is a microphone. By the way, we use the term "scientist" in broadest possible terms; we welcome all science-related fields and STEM-adjacent professions (and even some humanities). The end result is like a TED Talk - but funny! How do I describe this? 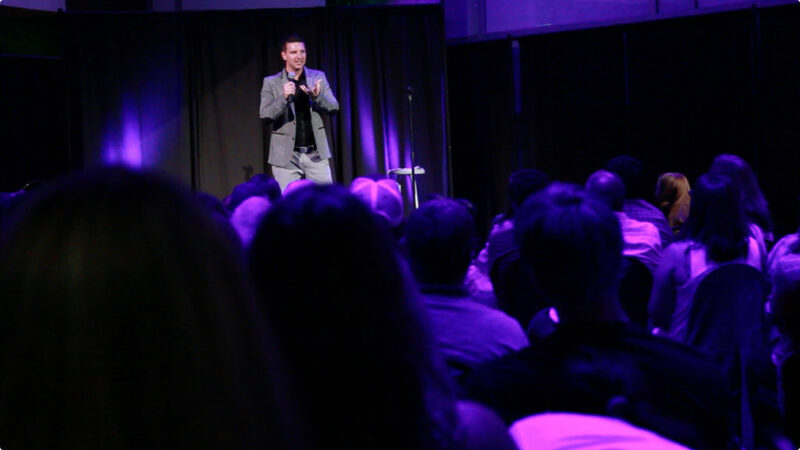 Science Riot is the only science outreach program in the country to turn scientists into engaging speakers through immersive training in comedy writing and performance. 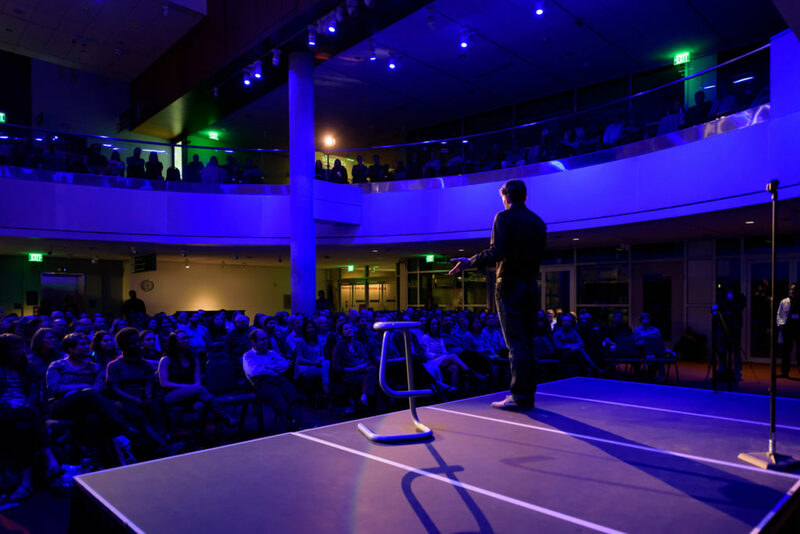 The resulting showcase is an evening of laughter, learning, and libations where our newest cohort of real-life scientists deliver their 10-minute comedy talks directly to real life humans. Join us for a brainy comedy night where local scientists will attempt to perform stand-up for the first time ever! Science Riot is a nonprofit program that provides free training for science professionals, recently featured on NPR’s Here & Now, with programs taking place in Atlanta, Birmingham, Boston, Chicago, Cleveland, Colorado Springs, Denver, and New York City. We believe in the power of humor to connect with broad audiences, make difficult topics accessible, and humanize scientists without undermining the seriousness of their professions. Highlight reel featuring an entire lineup of local experts. Nothing makes science accessible and entertaining like comedy. Our events draw diverse demographics from outside of the science bubble; especially when compared to Science Cafes and other public lectures. After two years of programming across three cities, nearly all of our events continue to sell out in advance. A sample comedy talk by a participating epidemiologist. ©2017 - Science Riot Inc is an educational 501(c)(3) organization.